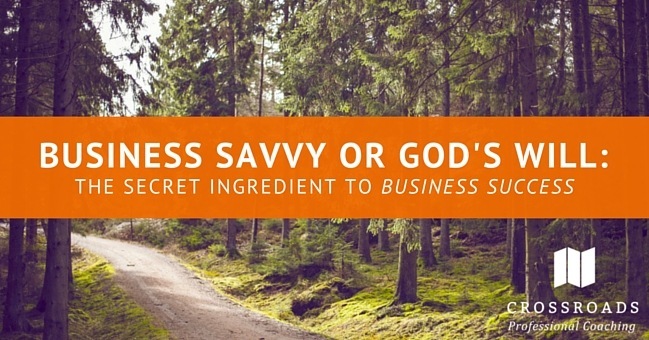 When it comes to business success, there is a fine line between business savvy and it’s a God thing. A college dropout with no capital starts selling handmade computers out of his garage and one day becomes the biggest name in computers. A baker, after 3 years of planning and saving, finally opens his own neighborhood bakery, which closes after 3 months. Carefully crafted marketing plans have been known to carry a brand, others equally as carefully crafted have not even moved the needle. A company with a strong vision and passionate owners fails to pull through the growing pains because they didn’t hire the right people. Another company in the same industry, and with similar people, is still hanging on. Sometimes business acumen works toward creating a growing lasting entity…other times, it just doesn’t work. And, on the other hand, many people who don’t seem to have a clue, fall hard into success, while others get what you would expect…nothing. It’s hard to see the pattern. What Creates Business Success and Longevity? Yes, there are fabulous books out there like Good to Great by Gary Collins and Think and Grow Rich by Napoleon Hill. Those authors have studied successful businesses and tried to share the magical treasure map for others to follow. Sometimes we hear about those companies who DO follow the formula and achieve greatness. But, what about the thousands of others who also followed the recipe, only to to a different end? What if there is a different ingredient that is truly the secret? What if we need a supernatural recipe for success? I haven’t done a formal study like Jim Collins, but I have worked with, and in, many businesses. I have seen a recipe for success work well for those who follow Jesus. We need foundational business building blocks plus one over-sized, deeply passionate heart, sprinkled with a dash of God’s will. I think with most things in life, God wants us to do our part. Obviously God has the power to pour out His business blessings on any random day or business owner. Usually He is looking for someone who is stepping out and trying to do the right things. This is where it helps to study and read about what constitutes business success. Create a strong and focused vision, hire the right people, systematize and automate processes, and determine a strong point of difference to market build your brand. These are just the building blocks for a strong business, one that can grow past what an individual owner can do alone. Will we do it perfectly? Maybe. If we do it perfectly, will it guarantee success? Not necessarily. This is one of those areas we can’t fake. God knows our heart even if we sometimes don’t. He knows if we started a business for other reasons, too (ex: just to make money or because a family member wanted this for us). When our heart is in it we will be different leaders, too. We will create a culture that is one of purpose and love. We will use the golden rule of loving others with our customers, our team, and even our vendors. We are in it…both in mind (doing our part) and in heart. Even with all of the business experience and personal desire, I have still seen businesses fail or at least not achieve the goals of the owner. And I have also seen businesses succeed without enough business acumen or heart. We don’t always understand His timing or His ways, but I think our part in igniting this secret ingredient is trust. We have to trust that if things work out, it was always a part of God’s will. Sometimes He may not provide the supernatural dash of success to our hard work and love for our business. Even in these times we have to trust that whatever the outcome, God’s will is what is best for us. If it doesn’t work as we expected, He has His reasons. Many times we can’t see them in advance, but often we see it in the rear view mirror. I have personally experienced almost every combination of these three components. God has been amazingly faithful and helpful to me, even if I didn’t feel that way at the time. I would like to promise you that if you do your part, God will help you achieve YOUR goals…but honestly, I can only promise that He will help you achieve His goals. However, I can say without a shadow of a doubt that His goals for any of us are better than our own. Mix all ingredients and let rise in God’s timing…for it is always perfect! Sue, this is AWESOME! I agree with all of it. Love your posts! Thank you for the reminder of the rear view mirror. With God, all things are possible… is the mantra of my life. I remember the doubt in well meaning friends eyes when I was fighting infertility in my 40s. My 23 year old daughter is perfect in every way. At age 65 I married a very fit man who enjoys going to church with me and like me does want to retire! Right now I am in a tough patch in business with a lot of major deals stuck in limbo. God will get me through. I needed the look in the rear view mirror. It reminds me that I am not done. No wonder I am inspired by the feisty Joyce Meyer. Success is not an entitlement for being faithful.but faith and strong focus helps your ride the peaks and valleys. Learning to hear God’s voice and connecting to faithful women is essential. Thanks again! This is an absolutely “beautiful” summary of the way things are. Thank you for using your gifts to put it in such simple yet elegant terms. .
iss ohly through growth ‘ profitable growth. think about starting a home business in which you can continue to use your nursing degree. Nursing will always be a ministry, channelling it into a business is possible, make a decision with God as the consultant.